For most people, the thought of Vermont creates images of snow-clad mountains, magnificent fall foliage, and black & white cows lazily grazing in lush green fields. All those images have something in common – they’re a testament to the beauty of Vermont. Add to that a hospitality industry that is known for its warmth and welcome, and you have a foundation for the perfect destination wedding. Add lodging choices, from magnificent 4-season resorts to quaint historic inns, and you have all you could want for your fairytale wedding. 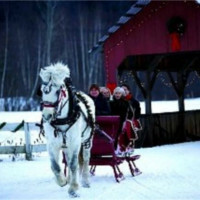 Picture yourself arriving at your reception in a horse-drawn sleigh against a background of snowy peaks. Or maybe take your vows at the edge of a pristine lake with some of those famous cows in the distance under a pure blue sky. If you’re worried about the details, don’t. Vermont innkeepers have a lot of experience making weddings unique and special for each of their couples. Larger resorts have wedding planners on staff to help you with every detail. 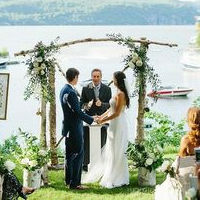 In fact, Vermont is such a popular wedding destination that many venues require reservations a year to a year and a half in advance. 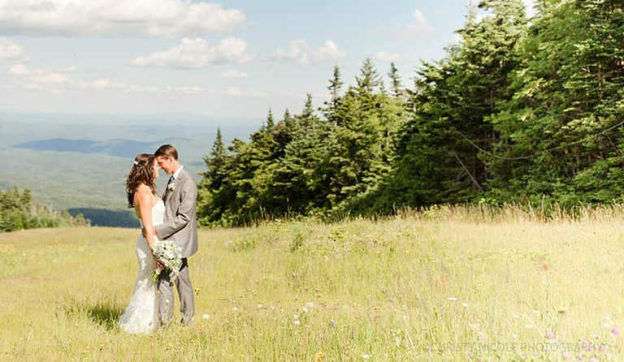 Vermont is the Perfect Choice for Destination Elopements too. This entry was posted in Now Trending, Stay, Uncategorized, Weddings on March 26, 2019 by Linda Warner.